“The early bird gets the worm” That was the theme of our awakening at 5AM this morning. We arose to 22 notifications of retweets by new followers we made at the conference. We started a campaign today to acquire new followers by including a simple note with our Twitter handle @SoCalSUSE with our install discs. After a quick setup, the team started pitching openSUSE to a vast number of attendees roaming the show floor. We demoed â€œWhat does the chameleon say?â€ http://www.youtube.com/watch?v=VNkDJk5_9eU . Our mascot, Romy Meyerson dressed as the chameleon and explored the convention while giving out stickers and yo-yos as well as the newest release in exchange for hugs. At the end of the night, Tony Su did a fantastic job organizing a last minute openSUSE BoF talk. The day went exceptionally well on all fronts. Tomorrow should be an exciting conclusion to SCaLE 12x 2014. Don’t forget our raffle for the Raspberry pi is being held at 3pm on Sunday afternoon. Following the recent participation by our team at FOSDEM we would also like to continue in the tradition of showing our team’s outreach to different audiences. Over the past couple of years we have also asked a small part of our team to participate in the popular SCALE (Souther California Linux Expo)Â taking place onÂ Feb. 21-23, 2014, at theÂ Hilton Los Angeles Airport hotel. SCALE is the first Linux event in the US every year, therefore, they feature over 100 exhibitors and the attendance to the event is quite high. For this reason we will be reporting on each day at the conference. Our openSUSE team decided to pack bags early on and set up the openSUSE Booth for this year. Just so they can also represent their own local community they also created a banner with a special Southern California twist. We arrived at 9am and did not leave until nearly 11:00pm! Our rather large team of 9 and counting led by Drew Adams., Daniel Hodges, and Roger Luedecke had a blast bonding and working together as a team to set up the booth. We began with a team meeting to discuss how we want to do things and to delegate tasks. Each person has a job to do and each one is passionate about the responsibility they hold. The KDE team has been coordinating with Drew for the last few weeks and we agreed to combine forces and loan some of our man power and enthusiasm to their booth which is next door to ours. So not only are we participating in representation of openSUSE but now we have a beloved KDE team also join us. And for your viewing pleasure some pics for you! We as a community are still abuzz from the success of the first community organized openSUSE conference in Thessaloniki this past July and many are already looking forward to the openSUSE Conference in Dubrovnik, Croatia next year (oSC14.) As we all know the wheels of time never stop turning and time flies when you’re having fun. Therefore, before we know it it will be time to announce the location for oSC15. However, before a new location can be announced it has to be found. The openSUSE board invites you to consider organizing and hosting the openSUSE conference in 2015. The openSUSE Conference (oSC) is the primary yearly gathering of Geekos from around the world. The conference venue requirements can be found on the openSUSE wiki. This is your chance to show the world of Geekos the hospitality and culture of your country. One member of the organizing team will be invited to attend oSC14 at the end of April, 2014 in Dubrovnik and present the location of oSC15. Please submit your proposals to either opensuse-project@opensuse.org or board@opensuse.org. We are happy to consider proposals from teams that would like to organize the event but are currently not actively involved with the openSUSE community. Proposals are accepted starting now until the end of the year (2013). The board will make a decision about the 2015 location early in 2014 with an announcement to be made at oSC14. oSC15 should take place in the March-May time frame in 2015, roughly 1 year after oSC14. Your proposal should include a description of the location (city/town and venue) and provide information about your organization team and any experience you may have had organizing other events. Items to consider are cost of lodging around the venue, access to public transportation to and from the airport/train station and hotels to venue, and proximity to a venue for a party. Milestone 2 was released just a month ago and it is now time to get the newest milestone release of openSUSE. Please remember that there is only one more milestone before openSUSE starts beta testing. There is still time for you to submit your bugs and requests for the distribution to include. As it is generally with milestones the changes are not dramatic, but there are some highlights you can see next. gcc 4.7->4.8 Kernel changed to the final stable version 3.10.0. Subversion also changed to the latest stable release accompanied by a few important changes that you can review here. Also, Mozilla Firefox is now updated to the latest version 22. Some improvements include WebRTC is nowÂ enabled by default! Meaning that anyone looking to have Firefox do more live communication through the browser, can now do so by default. We have not seen much of this in action other than the Facebook chat integration with Firefox but there should some new applications coming in the future.Â HTML5 audio/video playback rate can now be changed for all those looking to ditch flash. Â Asm.js optimizations (OdinMonkey) is now enabled for performance improvements that have been benchmarked recently here. openSUSE recommends that you download the DVD for testing purposes only. It is important to remember that the changes made in this version are not meant to be in your everyday computer, but rather that you used this version for testing purposes giving the community feedback on what bugs and problems you find. You can file your bugs in our forums, or bug tracking system bugzilla. openSUSE 12.1 EOL, 13.1 Milestone 2 released! the openSUSE Conference kicks off in less than 6 weeks! The conference Paper Committee has been receiving and judging a lot of presentation proposals and while there is still time to send in papers, a number of sessions has been confirmed already. In this article we will present you some of these sessions! The Community and Project track gathers talks around openSUSE and community activities, quoting the CfP page: “including but not limited to project governance, marketing, artwork, ambassador reports, collaboration with other FOSS communities and other topics”. Currently accepted talks will introduce local openSUSE communities, intro the new ambassador and merchandising programs and discuss Free and open in general. One particularly interesting subject will be openSUSE statistics. It is given by Athanasios Ilias “zoumpis” Rousinopoulos, student and Greek openSUSE ambassador from Spain (long story…) and Alberto “aplanas” Planas from the openSUSE team. They will each talk about numbers in a different area. Zoumpis is a MSc student doing research on doing quantitative analysis on communication in Free Software projects. He has studied the openSUSE repositories, mailing lists and bugzilla and extracted information from them. 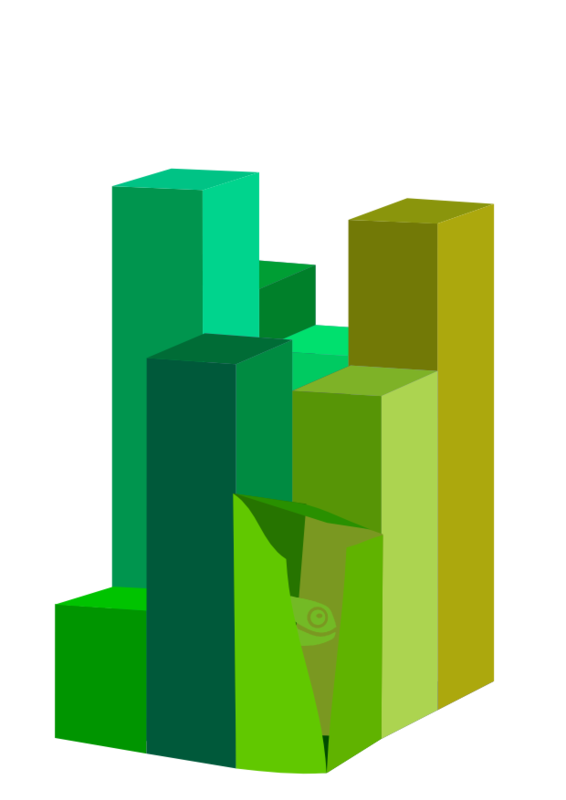 He will analyze the activity of the openSUSE community with interesting graphs and statistics! Alberto has been working on measuring statistics before, during and after the openSUSE release. How many downloads does openSUSE have, how many installations? And where do these numbers go? This gives interesting insights in where we, as a community, are going and what options we have before us. An interesting array of speakers will give attendees insight into the inner workings of openSUSE during the great workshops and talks on the Geeko Tech track. Although it often seems that openSUSE works by an act of magic, reality is that there are very dedicated developers behind it. Here is a snippet of sessions dealing with the more technical aspects of openSUSE. Starting with the Open Build Service, Henne Vogelsang will deliver a two-part masters workshop on how to get your packages processed by OBS. Ranging from the conception of new packages to updates for older releases, Henne will show the way. Making sure that openSUSE stays stable is important for a good User-distribution relationship! What started as a way to improve quality for the final release of openSUSE by Bernhard Wiedemann became a important project to improve development of openSUSE. Through his mighty Perl scripts openQA is able to provide information to users about the state of openSUSEâ€™s stability during development. A workshop and a talk dealing with the subject will teach attendees to use openQA to find and report issues and build further test cases, helping make sure that we all have the best openSUSE available. Other talks include Lars Vogdt presentation of openSUSEâ€™s infrastructure, showing what’s behind building and serving a Linux Distribution; a review of what openSUSE can do to make a tastier Raspberry Pi, making sure that openSUSEâ€™s installations are secure and how you can carry server virtualization through OpenStack in the size of a flash drive. Surely there is a great variety for those tech enthusiasts who would like to find out more about openSUSE development. Do not miss out on these fantastic presentations! For this area we invite other FOSS projects to share their work and collaborate with the openSUSE community. Submissions are not limited to technical content, you may choose to talk about your favorite pet project such as building a boat, a robot, or anything else you care about. Two prominent and disrupting Window Manager presentations make their way into the conference. The MATE desktop with the latest changes and features will join the illumined Enlightenment Desktop in two great presentations about their awesomeness. Since the inception of drastic changes to the most popular window managers Gnome and KDE, many have sought to find alternatives that sit better with individual needs. MATE attempts to bring back a traditional Gnome 2 experience even after Gnome moved their packages to version 3. Enlightenment being an old classic in the bunch but always with fresh and daring ideas makes its appearance on stage with great ideas on how to show speed and a polished system to manage your files. The Open World track helps you learn as well. Every morning Jos Poortvliet will teach you improved presentation skills and coupled with the presentation by Salih on how to evangelize Linux this becomes the perfect combo for those looking to help make more openSUSE adepts. The conference is soon but if you have not booked yet – there is still time. Go, prepare! openSUSE is pleased to announce that the newest Milestone for the upcoming version of openSUSE 13.1. is available for testing. As early version, it is expected that this Milestone is not fully functional or very stable and we welcome bug reports and fixes for the issues. This is the first in a series of upcoming updates to the distribution that will end with the final release of 13.1 projected by November of 2013.Â As usual with an alpha release, the most prominent changes in openSUSE 13.1 Milestone 1 come from the upgrades that packages are going through. The list of most annoying bugs is still short. We’re looking towards you to help us make that list bigger! We need to find out what’s wrong so we can fix it. You can report bugs with this link. The process of reporting bugs involves a couple of steps that you can take in order to contribute with the distribution. Reporting bugs and problems with the packages is essential for openSUSE to retain its stability. Please review our sections on how to contribute to factory, and submitting bug reports. You’re more than welcome to organize some bug-finding-and-squashing sessions! Take a look at previous efforts in our last beta-pizza-party! Some time ago, the team posted a suggested list of changes for openSUSE 13.1. The idea behind this is to accept the changes provided by the community and at the same time meet specific team goals. Please keep in mind that this list is subject to change but it helps when understanding where the next release of openSUSE would like to go. For the base system, planned changes include updating GCC to version 4.8 and working on the latest integrations for the Linux Kernel. On booting there was a discussion looking to completely move to SYSTEMD and dropping SYSVINIT. Replacing MKINITRD with Dracut. On the KDE environment the planned list includes making PHONON support GSTREAMER 1.0 and replacing Kopete, largely unmaintained now, to KDE Telepathy. 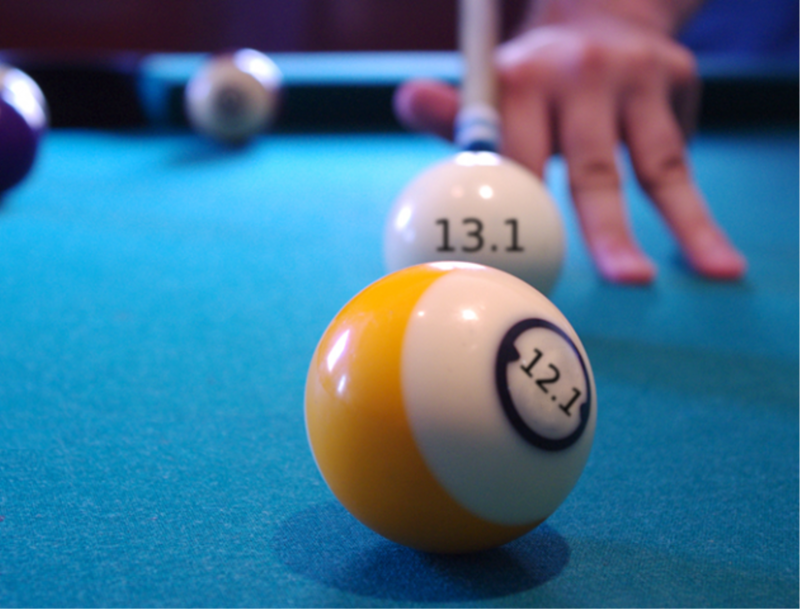 Gnome is also looking to change a few things in 13.1 starting by adding Gnome 3.10, cleaning out some outdated libraries and changing its default theme to a greener one. On security the list is simple so far, AppArmor will be promoted further as a preferred security suite and updating SELinux. This list of possible changes can also be altered by your participation. If you are a developer looking to learn and participate of the openSUSE project through coding, packaging or coordinating efforts to include certain software on the distribution, go to our factory page and learn more about how to contribute code. The process of working packages into the factory release is also documented in an article for the release of openSUSE 12.3. If you are interested in making contributions for packages, please go here and get packaging! Although the link is for 12.3, keep in mind that the packaging process done on 13.1 is the same. If your are familiar with branching projects through GIT, making contributions to the factory development should be easy for you. In simple words, you access the openSUSE repository, branch the specific part you would like to work on, make the appropriate updates and then you make requests to our team to include your changes. However, the work on openSUSE is not only belonging or limited to packaging. There is far more that can be done here. Marketing, team coordination, translation, artwork, etc. These are simple examples of what more of you could be doing for the team. If you are willing to participate, take a look at this page and choose! Master Coolo published a simple road map. The next milestone is expected for 6 of June, 2013. the next milestones come with about a month in between, Beta 1 is planned for the 19th of September, RC one will be on October 10 and RC2 on October 31st.